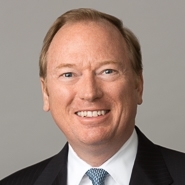 IP Litigation Partner Thomas L. Duston will participate in the panel, “Strategies for Dealing with NPEs – Fight or Flight” at the 2015 IP Strategy Summit, held on Tuesday, May 12, 2015, at the Fairmont Chicago Millennium Park Hotel. Diane Lettelleir, Senior Managing Counsel, Litigation, JCPenney Corporation, Inc.
With the ability to handle litigation across a wide spectrum of technologies, from aerospace and biochemistry to Internet/e-Commerce and medical devices, Mr. Duston adeptly protects the rights of his clients in patent infringement claims and trade secret disputes. He is recognized by his peers and opponents alike as a talented and skilled intellectual property trial attorney. Mr. Duston's clients benefit from his understanding of technology, his creativity, and his tenacity. The Leading Lawyers Network has named him a Leading Lawyer in IP Litigation and profiled him in September 2014’s Leading Lawyers Network Magazine - Business Edition. U.S. News and World Report has repeatedly listed Mr. Duston as among "The Best Lawyers in America" in the practice area of Litigation - Intellectual Property. Thompson Reuters has identified him as among the "Top 100" attorneys in Illinois, and repeatedly named him on its list of "Super Lawyers." American Lawyer Media (ALM) and Martindale-Hubbell selected him as a "Top Rated Lawyer in Intellectual Property." Managing IP’s World IP Handbook and Survey named him an "IP Star."